Look inside a number and you'll find a story. Sometimes the numbers tell a rousing tale of success. Sometimes they foretell a company’s impending doom. Most of the time, they tell you how things are and how you might make a positive difference . . . But only if you know how to read metrics, the language numbers use to spin their tale. Consider a business with two salespersons. Let’s call them Meg and Ron. The metrics tell you that Meg the intern closes two deals per week and Ron the pro closes four. So you goad your sales team into the corner cafe for a quick treat, lauding Ron for being an “achiever” and cheering on (read: shaming) Meg to catch up. But you were just halfway into the story, and the numbers have a few chapters left to narrate. If you had looked closer, the metrics also show that Meg gets far more prospects in the pipeline than Ron, who benefits by following up on clients Meg generously refers to him. It also shows that compared to Meg — who closes deals at nearly the speed of light — Ron lumbers like an ox when it comes to getting a prospect’s nod. Meg spends too much time prospecting and too little time closing. Ron depends too much on Meg’s referrals to keep his pipeline humming. Average sales velocity for your team can still be improved if Ron learns some of the closing tricks Meg uses. 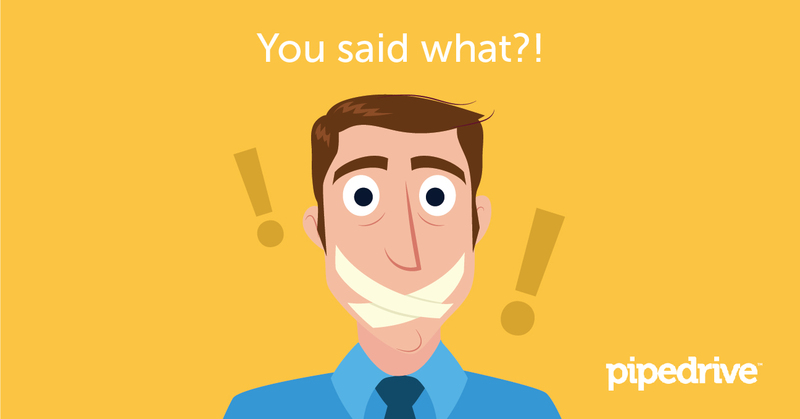 You could have significantly improved the team’s sales performance sooner had you listened more closely to what the metrics were saying all along. 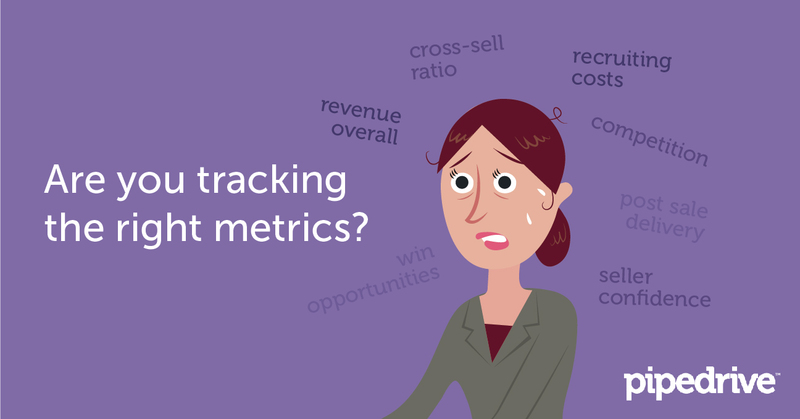 So what are sales metrics? Sales metrics refer to a set (or sets) of quantifiable indicators that tell you how each aspect of your sales operations is performing, and whether you are achieving your targets. As the name implies, these indicators are measurements computed from a host of numerical data such as the number of prospects you have in the pipeline and the speed by which these prospects are transitioned from one stage of the sales cycle to the next. Metrics also serve as the groundwork for data-driven tweaks aimed at bolstering sales performance. Sales metrics are the numbers that make or break your career as a sales professional. They comprise the benchmark against which organizational success is measured. And they serve as the cypher for hacking your way to high performance and efficiency. Profit Margin — You get this ratio when you subtract the total cost of doing sales (salaries, commissions, licenses, administrative and production expenses, etc.) from total sales, then divide the difference (called net profit) by total sales. Profit margin indicates the overall efficiency of your sales operations. As explained in Investopedia, a higher profit margin indicates higher profitability. That means if a similarly scaled competitor has a much higher profit margin than yours, then you have to re-evaluate and overhaul your operations to remain competitive. Number of Deals in the Pipeline — This is the total number of deals you have in all the stages in your pipeline. It sounds simple but the ideal scenario of keeping your pipeline full to the brim can be challenging. Pipeline Value — This is the approximate financial worth of all the deals in your pipeline. This metric can be used as a snapshot of your sales operations at any given moment. Note that deal valuation varies depending on which stage in the sales process a lead is currently positioned. Obviously, deals that have yet to be closed have far less value than ones that have already been monetized. Conversion Rate — Also called close rate, conversion rate determines the average number of open deals you need to close one. Experts invoke this powerful metric to distill the selling process into a numbers game. Suppose, for instance, that your team needs to deliver 15 closed deals for the month and your close rate is 10% (it takes 10 prospects to make a single sale). Based on the conversion rate, your team needs to engage at least 150 prospects to make the cut. Pipeline Attrition Rate/Sales Funnel Leakage — Somewhat the opposite of conversion rate, this metric tells you how many prospects out of the total number of leads opt out of your sales pipeline in a given period. The main benefit of tracking your sales funnel leakage is that you gain insight about which stages in your cycle experience the most opt-outs and the probable reasons these occur. Using this data, you can tweak your process and engagement approaches to minimize attrition rate and hike conversion. Sales Velocity/Sales Cycle Time — Sales velocity refers to the average time it takes for a lead to enter the pipeline, go through the sales process and complete the closing stage. The faster it takes to complete the sales cycle, the better for your team. This metric helps you determine where bottlenecks occur and how to optimize resources for each stage of the sales cycle. Together with achieving higher conversion rates, maintaining the optimum sales velocity make up the holy grail of sales organizations, according to author and sales trainer Mark Hunter. How many metrics do you need? In an ideal scenario, using more metrics allow for precision-tuning, enabling an organization to significantly minimize costs and drive efficiency. But gathering, analyzing and transforming huge amounts of information into actionable insights expose organizations to data overload, as Intradiem CEO Matt McConnell explained in Wired. There’s one solid rule in populating a pipeline: The more leads you have, the better your chances for success. Never allow your pipeline to run dry even when you’re briskly closing deals and reeling in hot leads closer to conversion. In other words, always be prospecting no matter what. This requires managers to ensure that their team always has the right number of appointments set and qualified proposals submitted, author and sales coach Steve Schiffman said. Every business has a sweet spot when it comes to average deal value. Focusing on extreme highs and lows may not be the best approach for most businesses and you would want to find the right balance that generates the best value for your company. One option, Rein said, is to “sell on value rather than cost.” This allows for product bundling, upselling, and better pricing. Meanwhile, speaker, author and sales leader S. Anthony Iannarino gives some insightful narratives on why some pipelines are riddled with less-than-ideal deal sizes. Conversion rate refers to the percentage of your customers who take a specific action you want them to take (such as joining a survey, subscribing to a newsletter, taking a course or buying a product). Since an uptick in your sales conversion rate dramatically improves profits, your team should always monitor and improve this key metric. Monitoring conversion rates allows you to detect and correct problems. According to Rein, you can optimize your conversion rate by “knowing your customers’ business inside out,” establishing trust, and by spending more time with decision makers. Data Analytics firm InsightSquared cites this metric — which it calls “win rate” — among the key indicators of sales performance. On Harvard Business Review, Professor Steve W. Smith included sales cycle length in his list of metrics that matter most. Why? Your profitability automatically improves every time you quicken the process of turning prospects into paying customers. While we generally want to maximize most metrics, you’ll be glad to keep this key indicator at the minimum. Depending on how you conduct your sales process, you can introduce creative measures in your sales cycle that will help shorten the timeline for closing deals. These include expediting the transition from one sales cycle stage to the next. For example, Timo Rein suggests urgently pushing for face-to-face or virtual meetings instead of prolonging email-based correspondence. Business Results - these are top line indicators (such as revenue and market share) representing the overall outcome of a company’s operations. These metrics involve quite a lot of external factors such as market competition and related in-house campaigns run by people outside the sales force. Sales Objectives - these are specific targets (such as a desired number of clients for a product line) a sales team aims for. These metrics are closer to home but also involve a few elements the sales team does not directly control such as buyer sentiment. Sales Activities - this is the bullseye. Metrics under this category (such as the number of calls a sales development rep makes per day) can be directly managed. Sales activities greatly impact an organization’s sales objectives as well as business results. Pipedrive strongly adheres to the mantra that managing sales activities leads to better sales performance. You’ll find this philosophy in the platform’s core design that intuitively shows which activity you need to perform in order to achieve a target. By focusing on a manageable set of activities, a sales team will find it easier to reach a strategic goal. After all, the math behind it is simple: making more calls will likely lead to an increase in the number of new clients, which hikes up the probability of more closed deals. Managing your sales operations using the appropriate metrics is like navigating the world using GPS: there’s no better tool to get you in the right direction. Metrics will tell you a lot about how you can optimize your sales funnel: whether to speed up stage-to-stage transitions, raise average deal values through upselling, or improve top-line sales by bringing in more prospects into the pipeline. The right metrics serve as a mirror that gives you a detailed look into your operations and as an evolving story that you — as the protagonist — can turn into a roadmap toward selling success. Seeing other people’s success can serve as an inspiration – check out how other countries have experienced success in their sales performance and see how this differs or relates to your own.